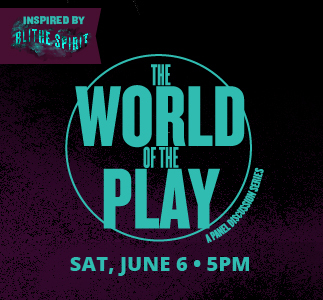 Filled with the sparkling wit and undeniable charm of Noël Coward, Blithe Spirit is a clever comedy gem from well beyond the grave! As inspiration for his new novel, Charles Condomine invites the wonderfully eccentric medium Madame Arcati to perform a séance in his house. When things go terribly awry, Charles suddenly finds himself caught in an improbable love triangle between his naive living wife and his decidedly "spirited" former wife. TICKETS: Click here to buy tickets. 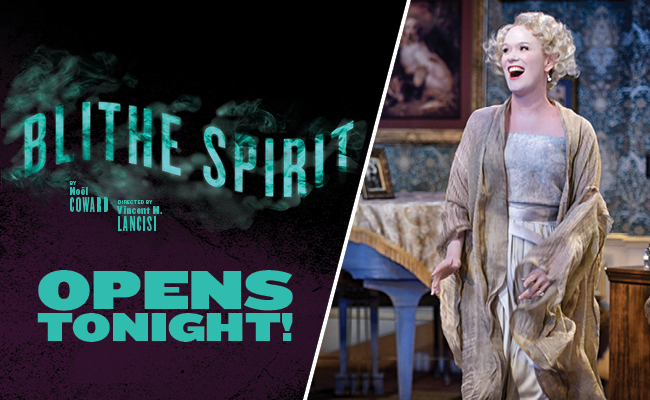 Cross over with us as we explore all things ghostly—on stage and off! This panel, Beyond the Crystal Ball, inspired by Blithe Spirit, will include a gifted clairvoyant, a local ghost hunter and a literary expert who will prompt us to examine why we, and the writers who tell our favorite stories, are so fascinated by spiritualism and the after-life. Hosted by radio personality Marc Steiner.